Perfectly layered flavors of delicious apple, spices and flaky crust in a vape you can taste layer by layer. This eliquid is great on delivery. 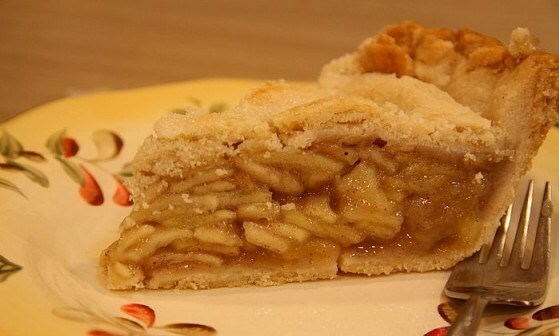 Layers pronounce themselves in full with 7-10 days of steeping for an apple pie experience to make your mouth water. Like your vapes sweet? AltCig Sweetener Drops are rated the best in the industry. Add a couple of drops, shake and vape. Decided to give this a try since I love apple pie. Its good straight out of the mail box but not my favorite flavor from alt-cig. I am going to try mixing some caramel and vanilla love since I prefer sweeter flavors. Several friends tried this and told me they loved it so it still gets five stars from me. I am getting a 130ML bottle of Apple Pie this time. Best juice I have vaped. Keep up the good work! The flavor is right on! apples, with a pinch of cinnamon! I can even taste the flaky crust! Soooooo Delicious! I Highly recommend this flavor!